Why did the authors of Mumbai not try to disrupt the voting? of last month’s dramatic terrorist attack on Mumbai. 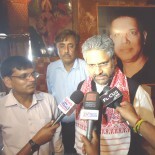 Jammu and Kashmir — not seek to disrupt the assembly elections? Dr.
Pakistan-based terrorists without the involvement of the ISI. Pakistan-Afghanistan border might be relieved. Or maybe Pakistan has understood that the people of Kashmir themselves can win freedom from India through democractic process :). After all, the majority in Kashmir wanted to be free even back in the 1950s, otherwise why would the late Nehru have shied away from plebiscite in order to settle this issue for once and all? In the end, democracy is the best solution if it is not a limited democracy but an absolute democracy. Equation must be “Pakis to always loose progressively more” by not giving up terrorist activities. NOT what will hey gain by giving it up!! Anything elses is scatter brain clap trap…. Well , you have always been for “talking to pakistan irrespective of what ever it does” . while war is not an option our “deep pakistani ability” should be seriously looked at . 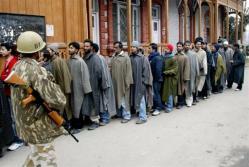 Pakistan did not do something to disrupt kashmiri polls is understating the effort of the security forces . India will never accept an “US envoy” as it very well understands this envoy games .Every “element” in pakistan is guilty . The civil element might have not known about this if at all they know it they still will not say a no to it . They will defend the terrorists and radicals as passionately they do today. This should primarily be looking back and seeing why Pakistan launched this proxy-war and how much civilian leadership supported that .Kashmir was their ambition for life and they clearly understand that without terrorism India would not even talk kashmir . Today if we are talking kashmir it’s because of terrorism otherwise India would have been insufferably defiant . Saying that a certain elements in pakistan especially the civilian government does not want terrorism is saying that they have left the claim on kashmir . All of them are guilty. All of them . As i have said we should have a relook at our “deep pakistani capability” , a relook at the “rivers going into pakistan” from the indian land . A relook at the whole internal security mechanisms , not just laws but organizations and their capability to function . It’s not <>quite<> true that the Mumbai terrorists did not refer to Kashmir. I seem to remember the terrorist who claimed to call up from Nariman House during the siege did refer to Kashmir. However that only strengthens your point – if Kashmir <>was<> among their concerns, the calm during the elections is even more puzzling, given the past history of disruptions. I think that the ‘denial’ that came from Pakistani official sources, and the explicit ‘our hands are clean and we are ready to cooperate’ statement came in the earliest days precisely because the official ISI <>wasn’t<> involved. But once Kasab was caught, they <>did<> act to restrict access to his family, because they thought that <>any<> publicity from that score could only redound to their detriment. However, today, 30 Dec, Mahmud Durrani’s statement seems to indicate that Pakistan has realized that the blanket denial has not washed, they now emphasize that they are victims too, and will cooperate with India in getting to the bottom of this. This <>might<> indicate, along with your basic thesis, that the ISI and the Pakistani Establishment can be negotiated with; that they <>can<> deliver, and that once they commit themselves they honor their agreements. A general toning down of the rhetoric on both sides and a moderation of the overall tension can then lead to a common attack on the ‘non-state actors’. It also requires a clearer understanding of what the ISI-Army-Establishment in Pakistan actually wants. The statements of people like Parthasarathy, Chellaney etc (‘hawks’) however, worry me, because they overly demonize the Pakistani state. It’s bad enough as it is, there’s no need to make it look even worse, and suggest courses of action that could plunge the entire area into greater anarchy. This entry was posted on December 29, 2008 by Siddharth Varadarajan in Indian Foreign Policy, Kashmir, Pakistan, Terrorism.